Please see below for a link to an online resource, which those in the early stages of training may find useful. I am assured that this is all that is required to prove IR(ME)R certification at ARCP. Benoy Shah has forwarded me details of this day on imaging in TAVI, to be held at King's College Hospital on 1st July. The flyer is attached here. It says that the cost is £100.00 but I am informed that it is now, in fact, free to attend. The details can be found on the BHVS website. The Southampton ACHD team are very excited to invite you to the next Southampton Congenital Cardiac Study Day on July 7th, which is part of their rolling two year curriculum. The topic this time is Tetralogy of Fallot, and they will be covering everything you need to know, including morphology, imaging and longterm follow up. There will be plenty of opportunity for interaction and discussion and presentation of clinical cases, with a live MDT. The programme is here. 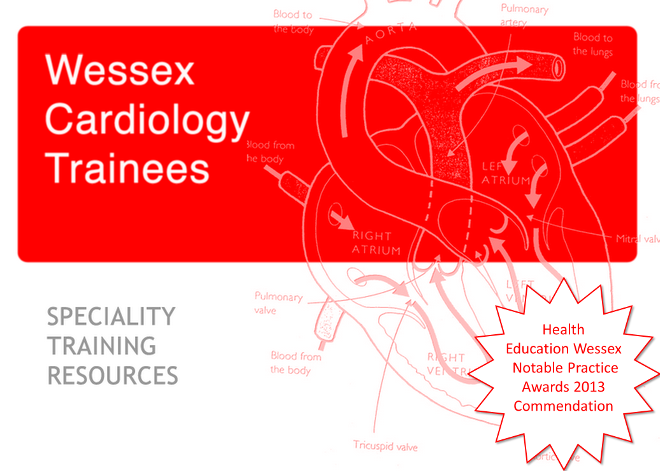 This teaching day will be of interest to cardiologists and cardiology trainees, paediatricians with an interest in cardiology, congenital cardiology trainees, cardiac physiologists, nurses and GPs with special interest in cardiology. Hot lunch will be provided. The programme is attached. To register, please e-mail bashir.alaour@uhs.nhs.uk, with the attached registration form. Good to see many of you at BCS - I hope that those who couldn't make it didn't suffer too much from their colleagues being away.